We have discussed the fallacy of “no damage = no injury” in depth in other papers, but as a reminder, we are interested in the relationship between injury and force experience, not damage induced. The phrase “no damage, no injury” is no more than “deceptive rhetoric” and draws a false causal relationship because it is based in subjective interpretation, dogmatic beliefs and too often, who is paying for your opinion. The extent of the damage, as viewed by each person, varies based on each person’s perspective. For example, what color is the square on the left? What color is the square on the right? The majority of the viewers of this article should say the squares are blue, but is it possible someone else sees the colors differently? What if this article was read in print form in black and white? What if the screen settings on a reader’s computer were out of adjustment? What if a reader has a condition which alters the way they see certain colors? Taking the last variable, if the person with the condition sees the squares as something other than blue, are they wrong? No. To him/her, they genuinely see something else. This example demonstrates the subjective interpretation of the two colors presented to you in the squares. So how do you resolve this subjective approach to the colors? You need to use an objective standard to gauge the colors against thus allowing you to determine if the colors presented are indeed blue. 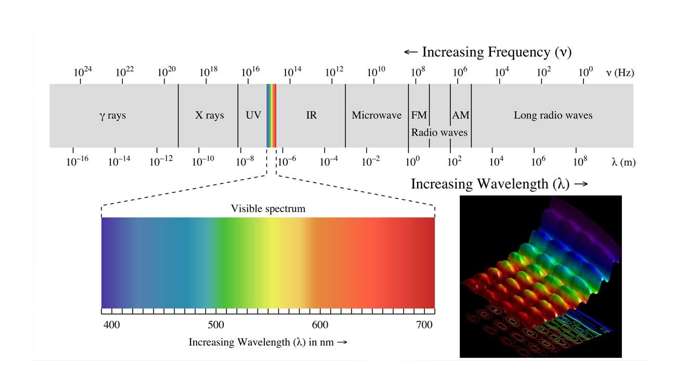 In the electromagnetic spectrum, there is a small window in which visible light is located. Within this small window, modern science has defined the wavelengths of different colors. 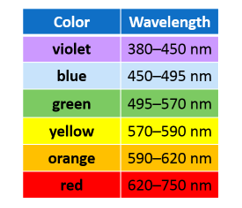 Rather than debating the colors of the two squares we can measure the wavelengths and compare them to the objective standard if both squares measure between 450 and 495 nm (nanometers) then both squares are indeed blue. In the same sense of objectively defining colors, we need to objectively define the relationship between damage and injury. This relationship is defined, objectively, through force. If we can quantify the forces exerted on the vehicle (and by extension the occupant), then we can objectively compare those forces to known standards for injury. 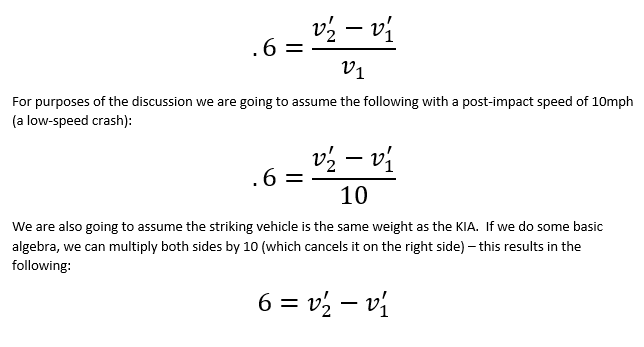 This MUST BE the method for defining the causal relationship between a vehicle collision and occupant injury vs. relying on dogma, rhetoric and financially influenced opinions because it relies on physics and the inherent mathematical facts. When considering transference of forces and potential bodily injury, after a complete vehicle exam is done, we can assign a known value for the vehicles change in acceleration. This process can take place via a few avenues. For the sake of this paper and topic, we are going to use the Coefficient of Restitution (CoR). There is clear damage to the bumper cover and rear liftgate as well as some panel fitment issues at the corners. I’m highly suspect if we examined the structure of the bumper, we would find more evidence of the collision, and this would further support an appropriate CoR. After an examination of the vehicle, we could reasonably assign a high CoR to this event and work backward to the striking vehicle’s impact speed. While this would be of interest and worth exploring, we have complete tasks similar to this in previous discussions. This collision is important as there is a second and more specific point highlight. Consider the interior shot of this vehicle. Consider what the chunk of missing steering wheel tells us. First, we know your average person doesn’t have the strength to tear the steering wheel. We can conclude the force of the collision did this, but how? The occupant was holding the wheel when the vehicle was struck. The collision accelerated the vehicle forward, and the occupant did not move at the same time. Once the occupant had “stretched out,” (the slack or bent arms at rest was gone) the force of the collision was translated to the steering wheel through the occupant. The question is, how much force? The forces experienced by the steering wheel would be whatever percentage of body weight the occupant had in the torso times the “g-forces” calculated. In simpler terms, if the upper body of the occupant weighed in at “X” pounds, the steering wheel experienced this weight times the g-force. Take a quick second and consider if you had the steering wheel in your hands, what could you do to break it in a similar nature? Jump in it? Have a friend hold one side and pull? What does it really take to do damage like this? This concept is a bit of a trick question, any answer you provide is subjective – lets objectively try to determine the forces at play. This is where you put aside pre-conceived “beliefs” and allow the mathematics of physics to render answers because there are no beliefs in math equations. Initially, it appears very high values can be substituted, and the formula would still be correct. However, this doesn’t pass a sanity test. While the striking vehicle is not provided, we are assuming it’s the same or negligibly different from the KIA. We know the collision is not 100% efficient so the post-impact speed of vehicle two being 10 mph is not reasonable. 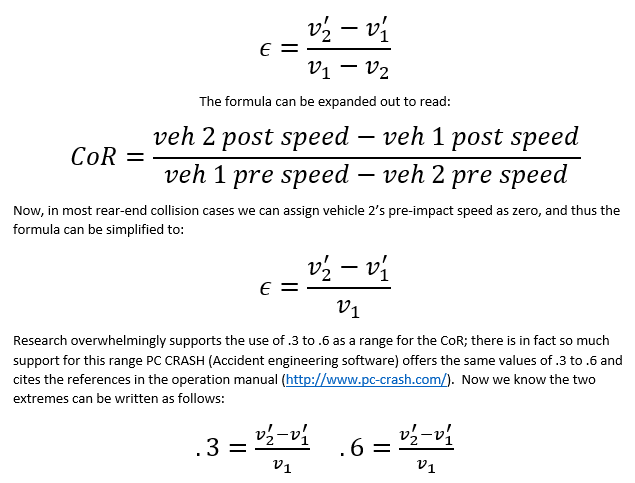 In the same sense, the post-impact speed for vehicle one being zero is also not reasonable. (WHY?) We are going to use eight and two, respectively. If the KIA was accelerated to 8 mph (11.76 fps), we could determine the g-forces be 3.65 at the lumbar spine. We also know the forces experienced at the cervical spine can be two to three times more than the lumbar, 7.3 to 10.95, respectively. These forces greatly exceed a plethora of known standards for cervical spine injury. The process we just went through provides an objective conclusion for the forces that acted on the vehicle, and ALL of these values are a reasonable fit for the damage profile. There is one final consideration, the broken steering wheel. 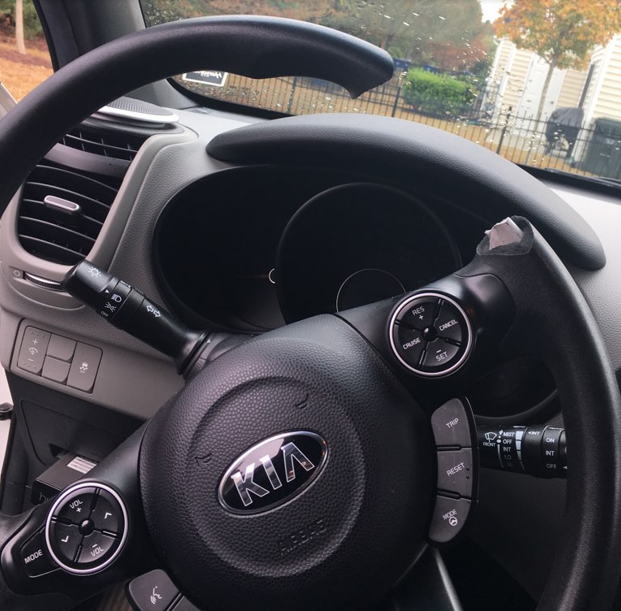 The occupant holding the steering wheel would have forces act on them differently likely resulting in different injuries or increasing the forces acting on the body. 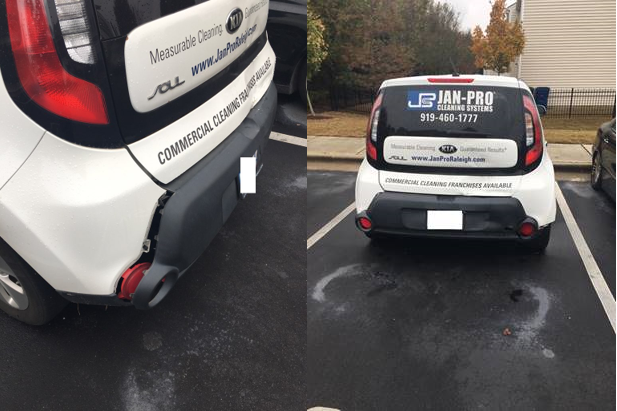 A case-by-case evaluation for each collision and each occupant is a necessity to thoroughly and accurately establish the objective relationship between the forces the vehicle experienced and the forces the occupant experienced – Indeed, “no damage = no injury” is a myth.